As the daughter of a Lancaster wireless operator/air gunner growing up in the Sydney suburbs one of my favourite spots in our house was in front of our fireplace which had built in bookshelves on either side. My father was a voracious reader and Paul Brickhill’s books were among his favourites. I had also consumed them all by the time I was 12 and returned to them many times over the years. Now those same copies reside on my own bookshelf. Having been raised on such a steady diet of Brickhill and knowing that my father had (at some stage) been acquainted with him (who knows where? ), it would be reasonable to expect that I might have had some knowledge of the man’s life. The only thing I’ve ever known was that he was a journalist. Thanks to this wonderful biography, which I have also devoured as greedily as I did the man’s books, I now have a much greater awareness of this hugely successful writer and his often troubled life. Because I urge you to read this for yourself (I could almost impatiently stamp my foot and say ‘you must’!) there is no need for much detail regarding the content. Dando-Collins takes us on the full journey of Brickhill’s life including some background history regarding his family’s involvement with newspapers. 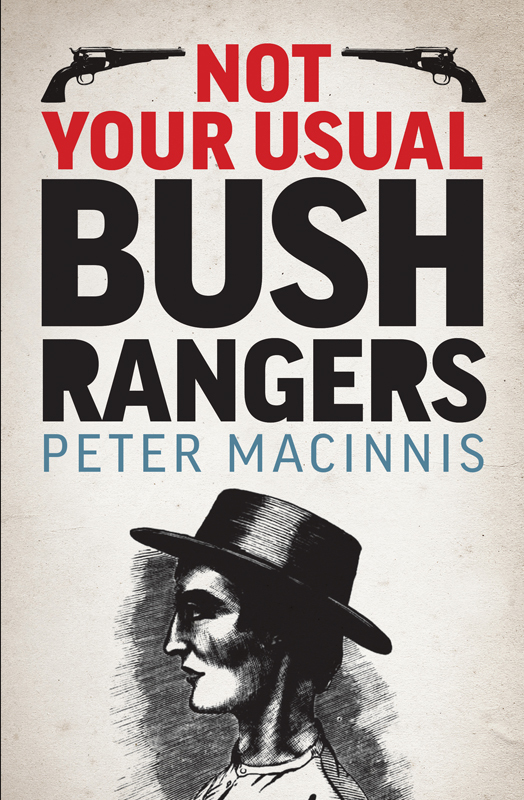 He describes the young Paul’s childhood on the North Shore of Sydney and his meeting with a solitary unkempt boy of similar age named Peter Finch who became a lifelong friend. An uninspired school experience led to some unfulfilling jobs until Brickhill gained a foothold in the newspaper business which was his heritage, rising quickly through the ranks from copyboy to journalist. Despite enjoying some accolades for his work Paul felt in need of a new challenge and adventure and decided to realise his childhood dream of flying by joining the RAAF (despite initial disdain of enlisting). Before too long he was a fully-fledged Spitfire pilot and on combat missions but was shot down near Tunis narrowly escaping death as he abandoned his ‘kite’ and was captured by Italians who of course promptly handed him over to the Germans. There followed a long stint in Stalag 3 which Paul was later to make famous – or infamous – as the setting for The Great Escape (RIP The Fifty). Although an integral member of the X Organisation Brickhill was not among the escapees and at the close of war was force marched across Germany with other POWs along with retreating German troops and refugees. Returning to civilian life after the trauma and privations of POW existence was not easy for many survivors, Paul among them but his determination to tell the story of the Great Escape and honour his comrades drove him to complete his first ‘escape’ book. Almost ten years later, with other escape books, The Dam Busters and (what I still regard as) his ‘tour de force’ Reach for the Sky, the biography of Douglas Bader, Brickhill was celebrated around the world for both books and screen adaptations as well as journalistic pieces. The rigours of the war were not the stuff of easy and calm futures and Paul’s tempestuous and tumultuous marriage to young model Margot eventually collapsed into catastrophe. This is no kid gloves account of Brickhill’s personal life. His unpredictable moods and tempers (including striking his wife on a number of occasions), the depression, mental illness, heavy drinking and reclusiveness are all revealed. When his marriage finally faltered it seemed that so did Paul’s creativity and though he ‘worked’ on several projects over the next two decades, he more or less lived rather like a hermit in his small top floor unit in Balmoral, Sydney, without ever publishing again. Some critics have dismissed Brickhill’s work as being too ‘journalistic’ but I will say I have never enjoyed reading newspapers and the like, but I love reading Brickhill. If their comments refer to the fact that he employs his skills of journalistic details and observation, yes he does. But he also has a deft touch for laconic humour and the ability to weave facts into a cracking yarn. For me the absolute joy of this book was that Dando-Collin’s literary style appears to echo the very essence of the subject’s own work and at times I could ‘hear’ Brickhill’s voice telling his own story in his own words. I am so grateful to Random House Australia for allowing me the privilege of reading and reviewing this volume. I am also grateful to Stephen Dando-Collins who has breathed life again into one of the integral storytellers in my life. How fitting in 2016, the 100th anniversary of his birth and 25th anniversary of his death that Paul Brickhill’s skill and story can be brought to a new generation of readers and this tribute which is a testament to his global acclaim is both perfect and poignant. If you have secondary students who are keen on biographies I suggest this would be a valuable addition to your collection but above all, as an Australian reader, I highly recommend it to you to celebrate the life of one of our most widely recognised writers. A blog Q&A with Stephen is being organised now so stay tuned for more! There have been many accounts of the Chinese coming to Australia in the gold rush era both for adults and children but this is the first I have read which explores the history of some of these worthy migrants making their arduous journey to get to those diggings. While this is historical fiction there are so many parallels to contemporary issues surrounding the plight of refugees risking all for a better life and the treatment which many of them receive. Yong’s father is Headman of his village, widowed and living with young children and an aged grandmother when he persuades a group of his fellows to join him on what they hope to be their salvation. He takes a reluctant oldest son, Yong, with him. They are swindled and beset by troubles from their initial ship voyage to the trek to the goldfields by tricksters who see them merely as objects of scorn. The contrast between the honour, respect for others and cultural values held by this group and that of those they encounter is poignant and terrible. Yet, they persevere in their quest, most especially Yong who struggles with his feelings of resentment and disloyalty towards his father and his feelings of inadequacy in the face of such a monumental challenge. If you are looking for a new novel for a class reading in Upper Primary or as a read aloud to accompany a unit of work this would be a superb choice. It is also bound to very popular with Middle to Upper readers of historical fiction. Highly recommended for readers aged around 10 years upwards. Is there any other author who has such a deft hand at bringing Australian history alive for young readers as Jackie French? It appears this much –loved and well-respected writer is unsurpassed in this particular genre (not to mention all her other writing!). The second instalment in the The Secret Histories series re-introduces the reader to young Barney. The boy’s mother was a convict but she sadly died like so many on the perilous journey of the First Fleet and Barney, being a free person but a child, would still be at risk if not for the generosity of the Johnsons who have taken him to their hearts. In these early days of the colony, life for so many can be harsh and surviving can be fraught. Accruing any kind of wealth is almost unheard of as the newly founded settlement lumbers along. Then an exciting visitor named Captain Melvill turns up and brings with him tales of great adventure and the lure of riches to be had from whaling. Barney is not greedy by any means but he knows that one day the Johnsons will return to England and he along with his little friend Elsie will need to make their own way in New South Wales. If he can go whaling it would mean the opportunity to earn the stake money for a small farm for them. Life on a whaling ship as a boy is tough and often hard but it is not that which makes Barney heartsick. It is the cruelty of the killing of one of the most magnificent animals he has ever encountered. The hunting of sperm whales with the riches they bring to men revolts Barney to a point of misery. Fortunately after just one hunting expedition Barney is able to return to his peaceful home. For lovers of history this examination of a little known aspect of the early European settlement in Australia is fascinating. For students who are inquiring into such history it is vital to my mind. No longer can we gloss over the less honourable events in our country’s history. Highly recommended for all readers Year 4 and up.